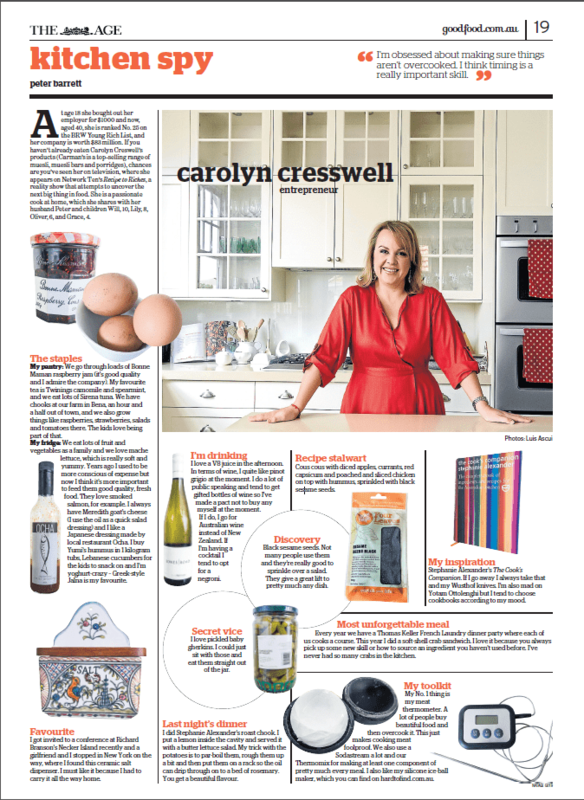 Aussie natives Ali Mcgregor and Carolyn Creswell have been in the press recently talking about their favourite Spice People products they just can’t live without. 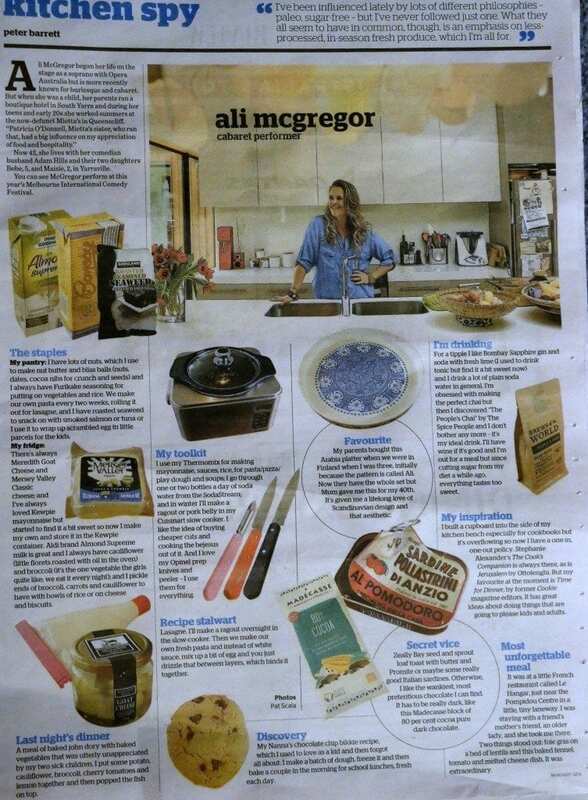 International jazz and cabaret singer Ali Mcgregor featured in Good Food magazine’s My Kitchen Spy talking about her favourite products to keep on hand in the pantry. We were delighted to see her favourite warm brew is our People’s Chai. Ali goes on to talk about how she used to make her own chai from scratch but no longer needs to since she found our blend. Ali lives half the year in Australia and half the year over in London and she claims she certainly won’t tackle the London weather without her chai. Having forgotten to pack it herself and having major withdrawals Ali contacted her mother here in Australia to express post her an emergency packet. Ali has been a loyal Spice People customer for over 2 years now and we’re happy to feed her chai addiction. As fellow chai addicts we definitely don’t blame you Ali and we’re so glad you love our chai as much as we do. Entrepreneur and founder of Carman’s Muesli shared her kitchen secrets in My Kitchen Spy and we were wrapped to see she had packet of The Spice People’s black sesame seeds in her pantry. In the post Carolyn rates this as her big new discovery. She loves the extra nutty flavour that the unhulled black sesame seeds impart when added to soups, stews and salads. Carolyn is a big name in the food industry and has vast amounts of knowledge when it comes to the best products to use. We are so pleased Carolyn loves our spices and cannot wait to see what she discovers next! Our spices are to be enjoyed by all no matter who you are or where you come from. We love to hear about who is enjoying our products and making new discoveries with their cooking. So jump over to our Facebook page and let us know which your favourite products are. Perhaps you’re like Ali and love a warm cup of our chai or like Carolyn and love our spices. For us we can’t go past a Moroccan Ras el Hanout as our pantry staple. Whatever your staples are we’d love to know. We’ll be keeping our eyes peeled for future installments of My Kitchen Spy and see who spies us next.